From the previous blog posts in this series (The Basics and Do I Have to Stay on Thyroid Medication for My Whole Life? ), you can see that I’ve said over and over that symptoms of thyroid disease are rarely what needs to be treated. I’ve used the analogy of a fire (underlying problem) and a beeping smoke detector (symptoms) developed by Dr. Mark Hyman, an MD who practices functional medicine. We discovered 5 reasons why only testing TSH (thyroid stimulating hormone) alone isn’t enough. Now I’d like to talk about when the thyroid itself is the underlying problem to symptoms you might be experiencing. This is called non-autoimmune hypothyroidism and it usually shows up on screening labs as a high TSH result. Causes of non-autoimmune hypothyroidism can be found among lifestyle choices like diet and exercise, or because of environmental factors, or when adrenals are affected by stress. A poor diet leading to deficiencies in nutrients essential to the production of thyroid hormone by the thyroid. Tyrosine, iodine, zinc, and selenium are all essential nutrients for the production of T3 (triiodothyronine)and T4 (thyroxine). 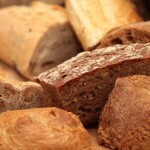 A lack of antioxidants in the diet can lead to rampant inflammation of susceptible tissues including the thyroid. Increased oxidative stress due to a diet high in inflammatory foods or continued exposure to environmental toxins exacerbate the issue. Poor gut health leading to an inability to absorb nutrients necessary for healthy thyroid production. Check out How Do You Eat? Let’s Count the Ways and 6 Habits for Good Food Hygiene for more about this. Excessive alcohol consumption may affect both the thyroid gland and the liver, which is responsible for converting T4 to T3. Moderate alcohol consumption is usually defined as one drink per day for women; I would recommend limiting alcohol to a few drinks per week for most people. Cigarette smoke contains over 4,000 chemicals and can exacerbate hypothyroid symptoms. A lack of exercise because it increases the body’s metabolic rate and then our tissues ask for more thyroid hormone creating a cycle beneficial for weight loss and increasing body temperature. The duration and frequency of exercise a person needs should be individualized. Most people do well with increasing movement throughout the day (taking the stairs, walking or biking instead of driving, using an exercise ball instead of a chair or choosing a standing desk) and augmenting this with 45 minutes of sustained exercise 3-4 times each week. Exposure to Halogens. Remember the periodic table of elements? The Halogens fluorine, chlorine, and bromine are in the same row as iodine. Since iodine is a key component of T3 and T4, this means that fluorine, chlorine, and bromine have a similar structure and can compete with iodine in the body. Most of us are exposed to Halogens when we shower in, bathe in, and drink water containing fluoride and chlorine. We’re again exposed to chloride and bromide when we eat anything made with bleached and bromated flour (a dough softener that ironically replaced iodine which was used in the past). When iodine is replaced by these other halogens in our bodies, it very much affects our thyroid hormones (1). Exposure to PCBs. Polychlorinated biphenyls (PCBs) are sometimes confused with BPA, which is Bisphenol A found in many plastics. PCBs can actually alter the structure of the thyroid gland (2) so that it is less responsive to TSH and other signals. It also makes it more difficult for carrier proteins in the blood to transport T4 around to different tissues. People are exposed to PCBs most often with food, indoor air, and industrial accidents. Although the manufacture of PCBs was banned in the US in 1979, there’s a chance these man-made chemicals are still present in some older products and materials. 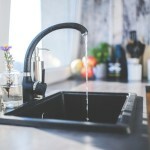 Contaminated food includes fish from PCB-contaminated water and animals (their products of meat, fat, and milk) grazing on contaminated surface soils or drinking PCB-contaminated runoff water in rivers and lakes. When ballasts or transformers fail in older fluorescent lights, PCBs can leak out causing surfaces and air to be contaminated. Electrical system fires and hazardous waste accidents can expose cleanup crews to PCBs. Adrenal dysfunction. This really goes hand in hand with stress and poor diet along with lack of rest and relaxation. The adrenals and the thyroid work as partners to help us feel energy and to maintain homeostasis in the body. Over-worked adrenals eventually begin to under-function, leaving their partner (the thyroid) to pick up the slack. If nothing changes in the balance between demands on our body and rest, the thyroid will be over-worked and suffer burnout. 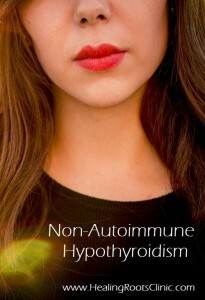 By and large the majority of people with hypothyroidism actually have an autoimmune form of it called Hashimoto’s. When that’s the case, then there are a variety of other factors to look at when addressing the problem. Remember, whenever there are symptoms of thyroid imbalance, it’s rarely the real problem. Instead, they are mostly likely symptoms of an underlying problem. We we think of it like fire and smoke, it’s best to put out the fire, not just take the batteries out of the smoke detector. This entry was posted in Natural Medicine, Thyroid and tagged Naturopath Thyroid Denver Colorado, Nonautoimmune Hypothyroidism Denver Colorado, Thyroid Disease Denver Colorado. Bookmark the permalink.